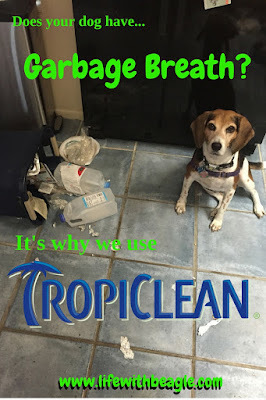 This post is sponsored by TropiClean and the BlogPaws Professional Pet Blogger Network. 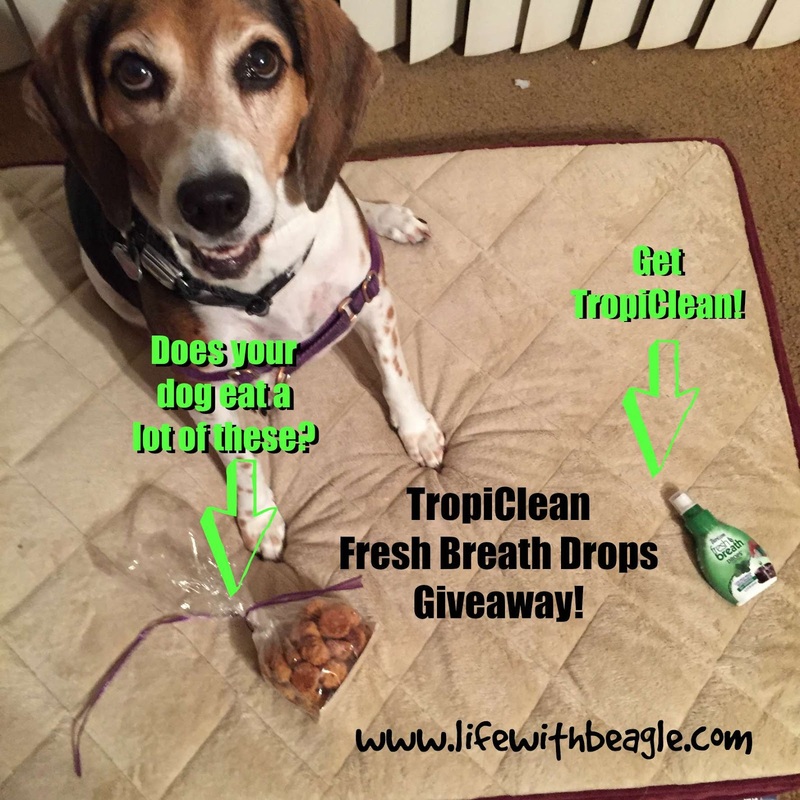 I am being compensated for helping spread the word about TropiClean Fresh Breath Drops, but Life With Beagle only shares information we feel is relevant to our readers. TropiClean is not responsible for the content of this article. 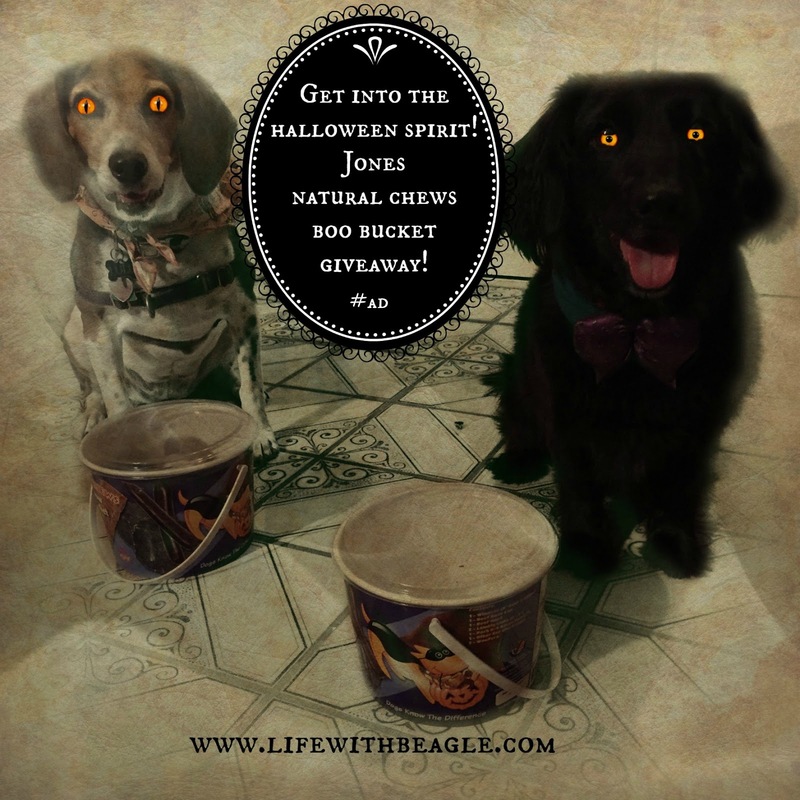 A couple of weeks ago we told you what we use around here to keep Lulu's and Jasmine's teeth clean and healthy, and their breath fresh. We've been trying Tropiclean®'s Fresh Breath Drops™, which is like the company's water additive. We've been using the water additive for about a year now and we are liking the drops so far. After all, a dog who loves her treats needs to keep her teeth clean and breath fresh. Now here's your chance to win some of TropiClean's drops! National Dog Week has been around 87 years and always happens on the last full week of September. You might be thinking: ANOTHER big dog event? But the longtime message for this week is an important one. 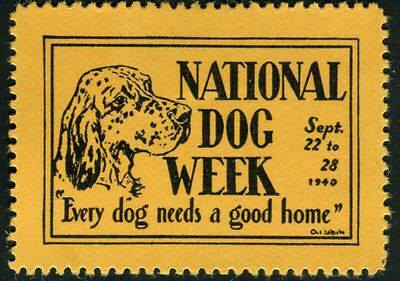 National Dog Week is all about teaching people to be responsible dog owners. Whovians rejoice! The new season of "Doctor Who" is here! 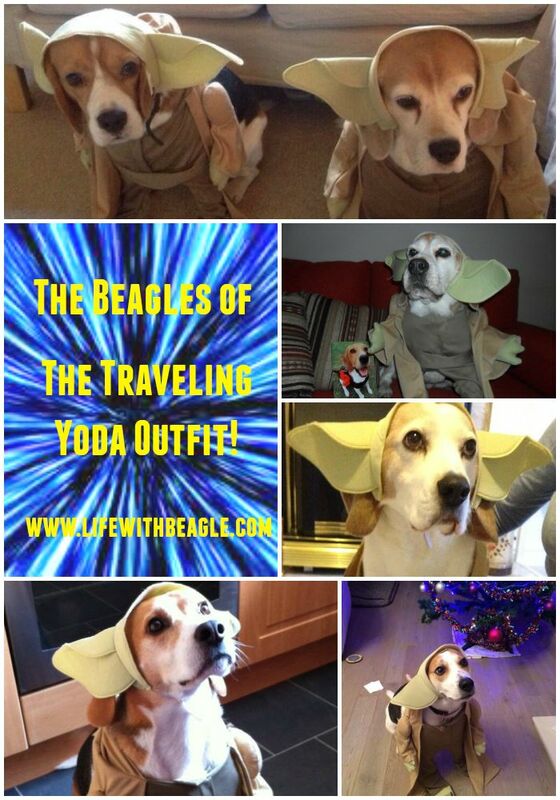 We're all excited here at Life With Beagle... or at least I am. It's one of my favorite shows on TV. 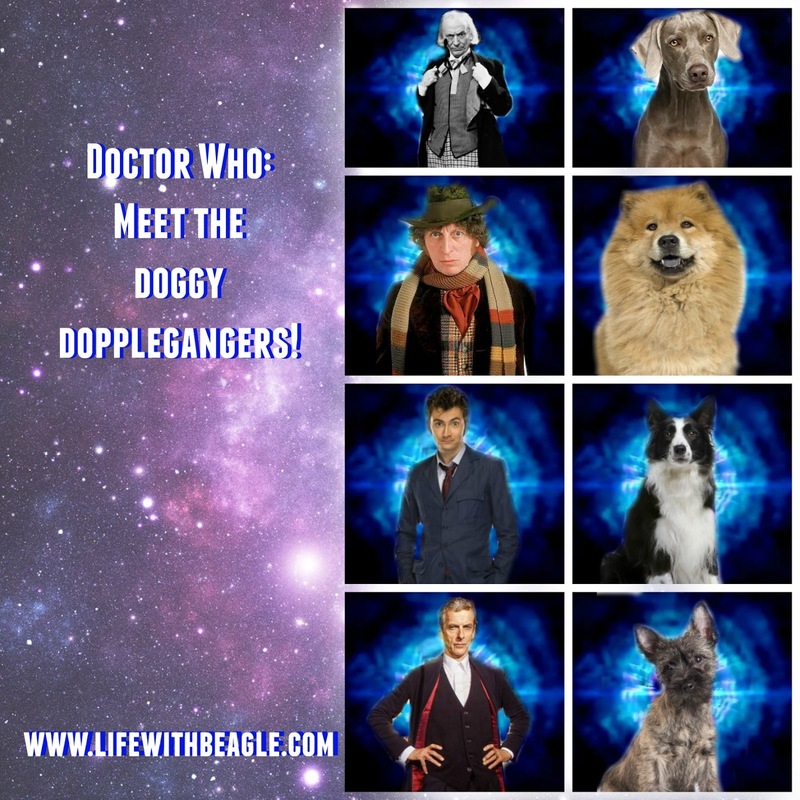 To celebrate, we're once again taking characters and matching them up with dog breeds. Of course, the character that's most important is The Doctor himself, so we've matched up all of The Doctors incarnations with dog breeds! Turner Classic Movies, aka TCM, is hosting a whole day where we share our love of films, especially classic films, with the world! We want you to know why these movies matter and are wonderful. 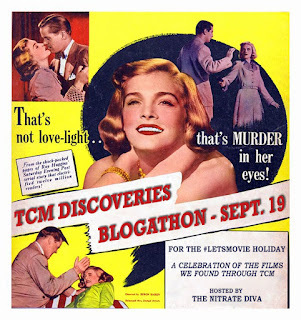 So I'm taking part in a blogathon, sponsored by The Nitrate Diva! Because I love classic movies and I love TCM! We're supposed to be sharing a movie we discovered on TCM. But since I'm a dog blogger too, my angle is a bit different. Now, dogs are so important to cinema. 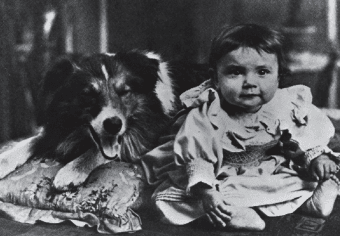 For people who think that the world's over-the-top love affair with dogs is a relatively new concept, consider this: the first film to feature a canine film star, "Rescued by Rover" in 1905, was so popular it had to be re-shot twice because so many prints were made from the negatives the negatives wore out! Irene Dunn, Asta and Cary Grant in "The Awful Truth." 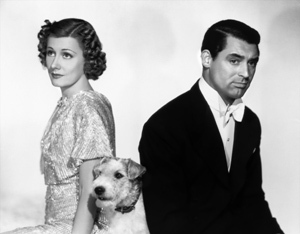 And if you think the idea of custody battles over dogs is a relatively new concept, consider the 1937 film "The Awful Truth," where Cary Grant and Irene Dunne get a divorce, but the sticking point is their dog, Mr. Smith. And Mr. Smith in a way helps keep them together too. Mr. Smith, by the way, was played by Skippy, also known as Asta -- one of the top dogs in Hollywood history, after Rin Tin Tin, Lassie and Toto. But neither of these movies are the ones I will talk about (though I did see "The Awful Truth" on TCM! Along with "The Thin Man" movies and "Bringing Up Baby," also movies I discovered through TCM). The films I'm choosing are not dog movies. The dogs, however, are important to the plots and the characters. And I think they make the movies better. Grand Hotel is one of the first films to feature an "All-Star Cast." The MGM film featured characters with different story lines that intersect at a posh German hotel in the 1930s. And what a cast! Garbo! The brothers Barrymore! Joan Crawford! I was just getting into Greta Garbo movies, thanks to TCM. It seemed like an essential film for Garbo because it featured her iconic line: "I want to be alone." But one character stuck with me more than any other. And now that I'm a dog writer his role has a serious effect on me. I'm talking about Adolphus the dachshund. Adolphus belongs to Baron Felix Von Gaigern, played by the great John Barrymore. We meet him when Barrymore chastizes a hotel employee for not coming to get Adolphus for his walk. But it's the scene above that really endears me to Adolphus. The Baron is confronted by a dangerous associated in his hotel room, but he deals with it quite non-chalantly. And at one point he looks at Adolphus and says, "Adolphus, this is a peculiar thing for one gentleman to say to another, but as a matter of fact, you're the only thing in the world I really love." The scene, I think, is what truly endears you to The Baron. Or at least me. Yeah, we see he may be a nice guy. He's witty. But his interaction with Adolphus makes you realize that he has something of a heart. We learn later The Baron is a black sheep. He's an impoverished aristocrat. He's in with some bad people, and he's been tasked to steal some valuable jewels. And if he doesn't do it he's in trouble. In all the world, all Adolphus and The Baron has is each other. So at the end of the movie, when The Baron's story is complete we are left to wonder what will happen to Adolphus. And our heart breaks for both of them. Many have written about how Adolphus is a tie between the Germany lost in World War I and the Germany to come in World War II and the rise of the Nazis (the dog's name might even give us a hint). I don't know if all that is true. What I see in Adolphus and The Baron is the belief that any person who is on the outs, who might be a bad guy, really can't be all that bad if he has the love of a dog and he loves that dog back. 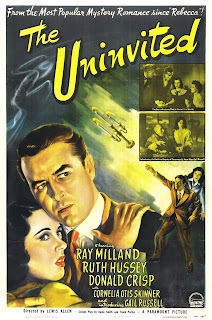 I first saw "The Uninvited" on TCM, and I loved it so much I would periodically suggest it as a movie to put on the schedule for years. Then I DVRed it, and once it FINALLY came out on DVD I bought it... and then never watched. Unless it's on TCM, and then I'll watch it. Isn't it funny how these things happen? "The Uninvited" is a good old-fashioned good story about a brother and sister who buy a big old house on the English coast only to discover they have a ghost -- or is that two ghosts? Ray Milland and Ruth Hussey play city-slickers Rick and Pamela Fitzgerald. Pamela finds the ghost idea fascinating, Rick thinks it's hogwash. But when they question the former owner, he's evasive on the issue. Oh, and the old man's granddaughter is not to go to the house or associate with the Fitzgeralds either. So the Fitzgeralds are stuck with a very expensive house with a ghost in it -- and it's all Bobby's fault, really. You see, Rick, Pamela and their dog Bobby happened to come upon the house when they first saw it and Bobby, being a dog, just couldn't resist a big, fat squirrel that clearly needed chasing -- into the house. Once the Fitzgeralds were inside, they simply fell in love. Pamela especially. But when the Fitzgeralds buy the house and bring Bobby back, he suddenly refuses to go upstairs. And then -- he disappears. But don't worry, he'll be ok.
Is Bobby necessary to the story? Eh, one could argue the writer could have written around the dog. But Bobby adds a bit of cute excitement. He serves as a catalyst to the plot, and not just in this instance either. The writer weaves certain important points in the story around Bobby. He is the real levity in an otherwise-heavy scary story. So there you have it -- two great classic movies that I discovered through Turner Classic Movies. But there are so many more! Want to see what movies they are playing? TCM has a complete channel guide on their website. SHARE: Do you have a favorite classic film? I want to know! Maybe I haven't seen it. What horribly gross things does your dog eat? I asked my Facebook followers that question the other day. The answer overwhelmingly seems to be poop and garbage. Bleh! Lulu has no problems knocking over a garbage can to get at goodies. She knocked one over just the other day. My mother doesn't seem to remember that Lulu and Jasmine are stronger and have longer legs than her dachshunds. They can get on counters and they can knock over trash cans. But she HAD to put garbage into a small can in Lulu's reach! Nevertheless, poop, garbage and other gross goodies are no good for your dog's mouth... or breath. We love Star Wars around here! And today is Force Friday. But these beagles have The Force with them! When we aren't posting here, we are daily talking with your friends on Facebook, Twitter and Instagram. We share these all the time. Hope you like them and share them! That's what they're for. And don't forget to join us on social media!